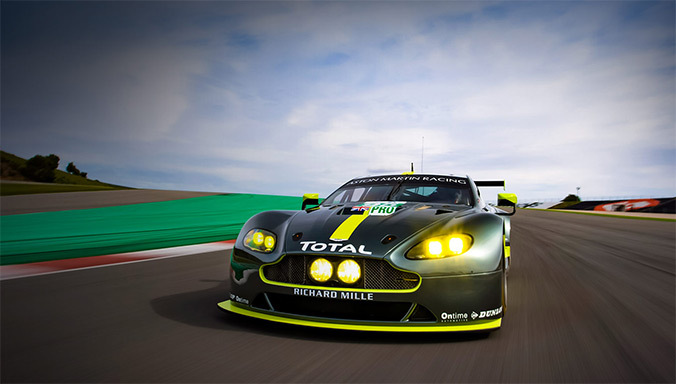 2012 saw Vanquish unveiled to acclaim - exceptional technology combined with pure beauty. 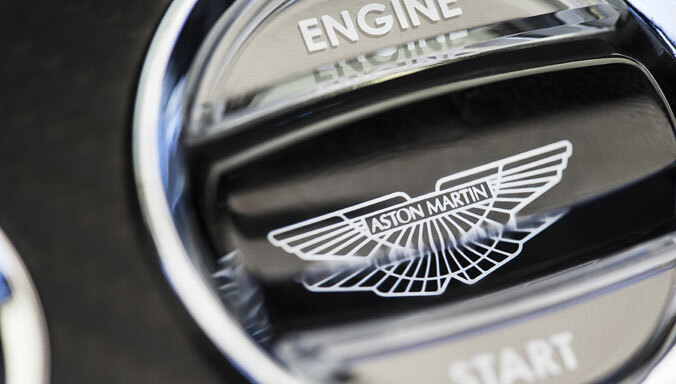 Our world-leading design team created a car instantly recognisable as Aston Martin but with a bold new look; lithe and honed, elegant and muscular. To create Vanquish Volante our designers worked to refine a convertible body shape. Retaining proportion and balance, ensuring exact aerodynamic performance, creating distinctive convertible styling - the Ultimate Volante. A roof that's simple to use and simple to change. We designed Vanquish Volante without complication or clutter. Taking just 14 secs to remove, with just one button push, the lightweight fabric roof fits snugly beneath the tonneau cover with no impact on exterior styling. 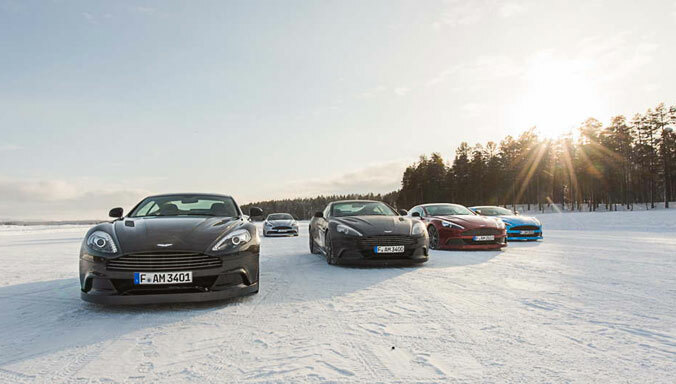 “Vanquish Volante is a sports car, but more even than that it is the ultimate Volante. A car which follows a long line of elegant Aston Martin convertibles, this super GT is sculpted to convey sophistication as much as raw power." Advanced carbon fibre allowed us to create the now iconic Vanquish rear aero-duct. 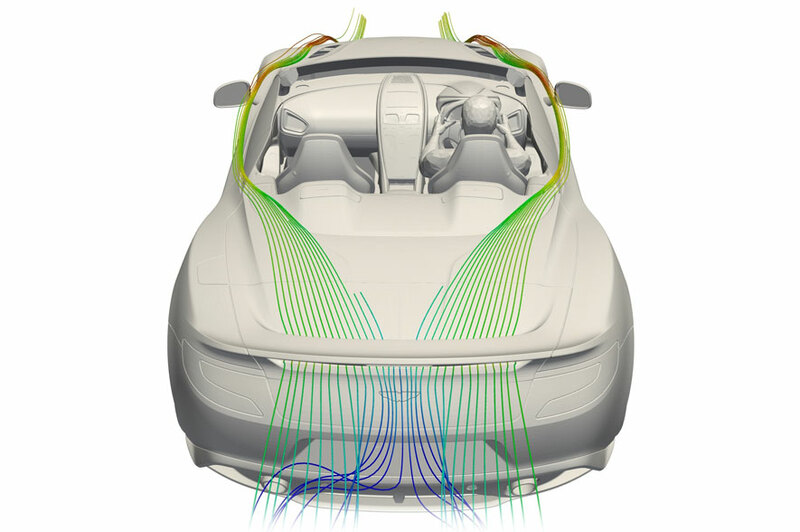 Optimised for Vanquish Volante this single moulded piece improves downforce and aerodynamic performance. Taking over two days to make, this integral part combines detailed craftsmanship and purity of form. 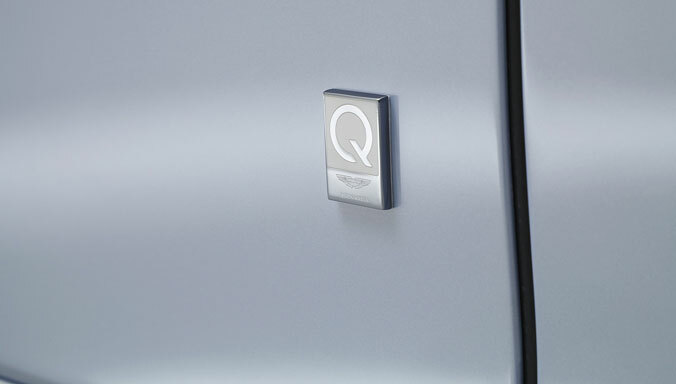 Vanquish Volante also sees the subtle integration of the rear stop lamp, blending it into the surface of the decklid. An enhanced, flowing front profile from a new full-height windscreen. A first for Aston Martin, we’ve removed the top body coloured surround and extended the windscreen to meet the fabric roof. Improved visibility and a cleaner profile, Vanquish Volante once again combines design and engineering in one stunning package. Vanquish is the first Aston Martin Volante to be sculpted entirely from carbon-fibre. The only material we could use to create the exterior form our designers wanted. Lightweight but with a phenomenal strength-to-weight ratio this advanced material allowed our designers to create the muscular yet smooth form befitting our Super GT. Exposed carbon fibre styling also offers a subtle contrast to paint and brightwork to create a striking visual effect. We created a profile that looks beautiful with roof up or down. Vanquish Volante’s key feature saw intensive design work. You can contrast exterior paint, roof colour and interior design as Vanquish Volante adds further personalisation to an extensive palette. 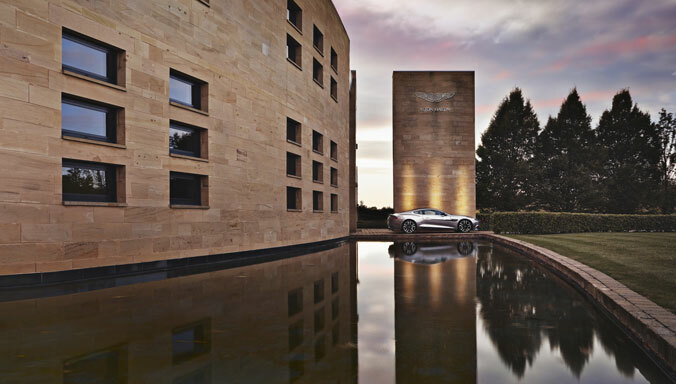 Subtle, sporting or luxurious colours can be blended to create the Vanquish you want, twice. A sophisticated package also sounds sophisticated. The 1000w Bang & Olufsen BeoSound audio system - specially developed for Vanquish Volante - coming as standard. Sound equalisation constantly monitors cabin noise and changes audio settings. With thirteen speakers, all built discreetly and consistently into the cabin. Roof up, or roof down, Vanquish Volante always sounds great. Vanquish Volante combines, elegance, performance and practicality. One stunning number tells the story – 50% more boot capacity than DBS Volante. With 279ltrs of storage our engineers used the carbon-fibre structure to achieve more rear room. 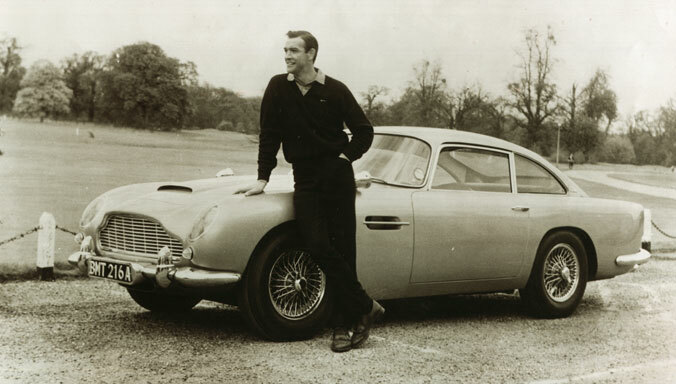 Some convertibles reduce capacity for roof-down driving, not Vanquish, rear boot capacity is always consistent. 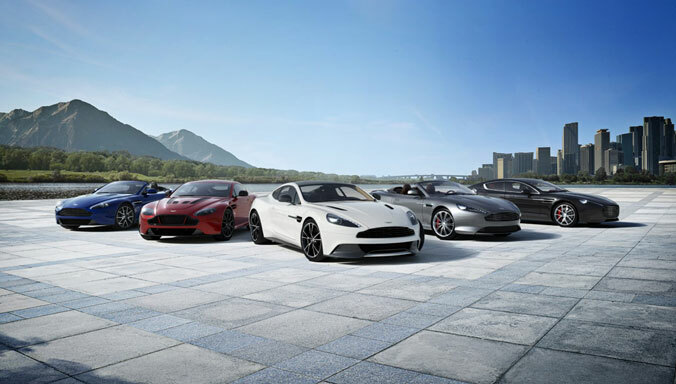 Vanquish introduced a new benchmark for GT luxury. Vanquish Volante goes further. 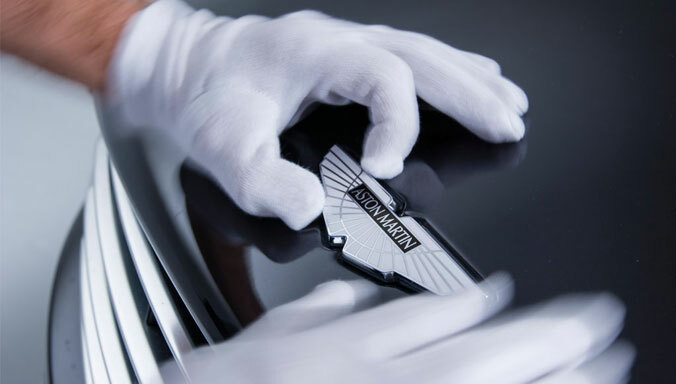 Our craftsmen work only with authentic materials to create an interior of outright luxury. View two recent examples of Vanquish Volante 'Q by Aston Martin' creations below. This Vanquish Volante was created in homage to Aston Martin's 1959 victory at Le Mans with the iconic DBR1. 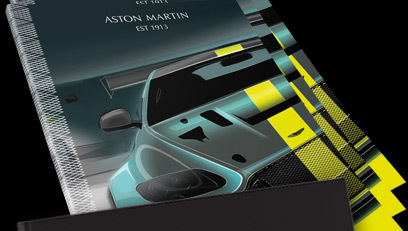 Aston Martin's Racing Green bodywork is combined with key exterior elements picked out in Santa Cruz Yellow, including the front splitter and rear diffuser blade. A tan interior includes special quilting and a unique laser etched map of the Le Mans circuit adorning the facia panel. Presenting the Neiman Marcus Special Edition Vanquish Volante, a unique specification created to celebrate the 87th year of the legendary Neiman Marcus Christmas Book. 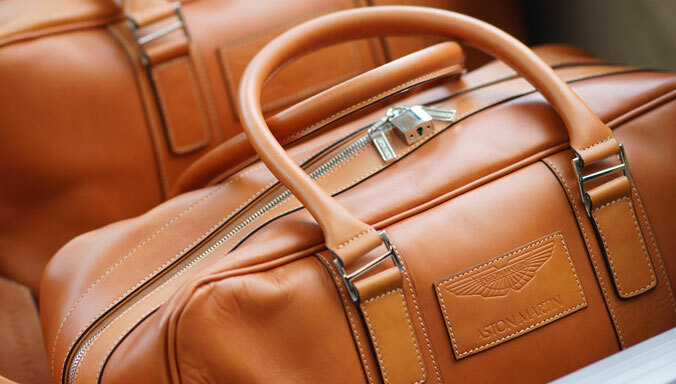 Adorning just ten exclusive models, this distinctive treatment for our ultimate volante includes the same iconic 'Seychelles Blue' paint made famous by the DB6 Volante used by the Duke and Duchess of Cambridge at their 2011 wedding celebrations.